Located in Canberra, ACT, our florist aims to make your flower order as simple and stress-free as possible by swiftly delivering to a number of public locations. We understand your day is busy, which is why we bring your orders to institutions like hospitals, other medical centres and assisted-living communities when you want to pass on a gift to a friend or loved one. Similarly, we also bring flowers to locations like churches, funeral homes and cemeteries in the event of a wedding or service. 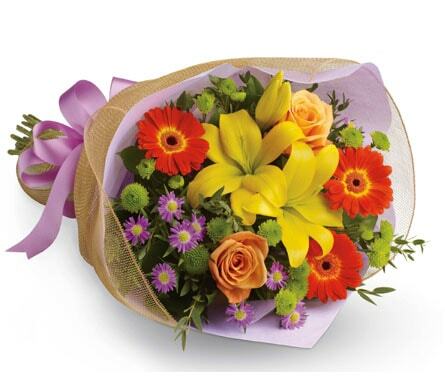 Though located in the CBD, we deliver flowers to surrounding suburbs. Fresh flowers are a must at a wedding or funeral service, and we promptly deliver to many of the major churches in the area to make sure that your ceremony is decorated beautifully. Some of the churches we regularly service include Catholic Archdiocese of Canberra & Goulburn, Canberra City Uniting Church, Canberra National Seventh Day Adventist Church, St. John's Anglican Church and Canberra Baptist Church. A few of the funeral homes and cemeteries we deliver to include Tobin Brothers Funerals, Woden Cemetery and Gungahlin Cemetery. The hospitals and medical centres that we service around Canberra include Calvary John James Hospital, Canberra Hospital, Canberra Private Hospital, Calvary Public Hospital Bruce and Barton Private Hospital. BaptistCare Griffith, Southern Cross Care Campbell Residential Aged Care, Jindalee Aged Care Residence, Mountain View Aged Care Plus Centre and Adria Village are some of the aged-care centres that we service. Our flowers come in a variety of magnificent displays, each special in their own way. Alongside our vases, baskets, boxes and pots are our classic bouquets�a timeless way to gift a dazzling bunch of blooms. Bouquets are perfect no matter the occasion, and add a touch of tradition to the thought. 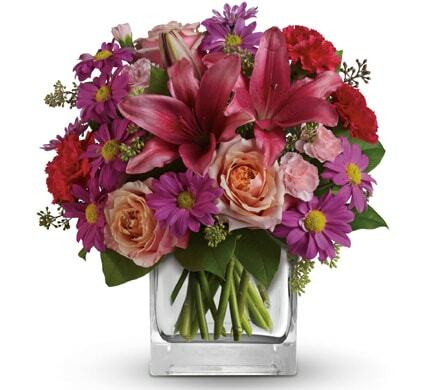 If you�re looking for a romance-themed bouquet, look no further than our to-die-for �From the Heart� arrangement. 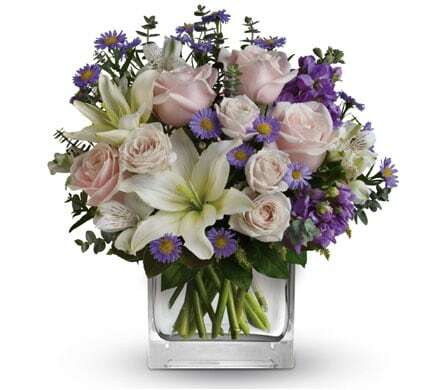 Roses, alstroemeria, lilies and carnations come together in this soft and heartfelt symbol of love. Being the respected capital city of Australia, Canberra and its CBD are frequently visited by flocks of tourists throughout the year. Naturally, there are endless sights to see and activities to do in the area, and many of the country�s most prominent monuments are located here. Some of the more notable institutions that draw in numerous tourists include the Australian War Memorial the National Archives, the Australian Academy of Science and the National Gallery of Australia. Members of the public also enjoy tours of Commonwealth Government buildings which are open, including Parliament House, the Royal Australian Mint and the High Court. 01/07/2017 - July In Canberra..
01/06/2017 - Should I or Shouldn't I..
15/05/2017 - Keep the love rolling..
Canberra is also a great place for any foodie. Great cafe's and restaurants you should enjoy are, Thyme to Taste in Yass, Lantern Rooms in Campbell, The Boat house in Barton, The Cupping Room in Canberra City (under $20), Rubicon in Griffith, Ottoman in Barton, Akiba in Canberra, Pialligo Estate Canberra in Pialligo, Kukitang in Barton, Daana in Curtin. Canberra is the coffee capital of Australia. ONA Coffee's Head Trainer Hugh Kelly was awarded the Australian Barista Championship title. Also on the Canberra coffee scene, Bean!Roasters in Fyshwick won the Australian International Coffee Award at MICE. Bean!Roasters have won this award for two consecutive years. Canberra is quickly becoming the place to go as the Coffee Capital of Australia. From the capital at RYE, located on Lonsdale Street in Braddon, you can be treated with Three Mills Bakery artisan bread, have an early Bloody Mary, have a breakfast board of charred grapefruit and rye sourdough. At the Bar Rockford in one of Canberra's oldest buildings the Melbourne Building, they will keep you warm all winter long beside their firplace, and a constant fresh glass of wine. at the Vibe Hotel Canbarra Airport you will find a state of the art fireplace at Helix Bar and Dining. With a glass of local wine you will definitely want to lengthen your stay in Helix, and enjoy more of Canberra. Portraits of Marie Born in Marinette, Von Bruenchenhein worked for a florist after graduating from high school and cultivated a strong interest in plants and cacti. Jim Higgins, Milwaukee Journal Sentinel, "Von Bruenchenhein's otherworldly art confirms his weird greatness," 24 Aug. 2017 The White House florist had made bouquets for the Obama girls. Katherine Skiba, chicagotribune.com, "Malia Obama's gap year about to end as she goes to Harvard," 18 Aug. 2017 Upon arrival at their destination, florists can keep buds refrigerated for up to 45 days. Alaska Dispatch News, "MAKING IT: Cultivating a second career," 17 Aug. 2017 On the main drag, Trump�s club leads to the local library, a red brick building with a garden and giraffe sculpture in the back, a few pizza places, a deli, some gas stations, and florists. Emily Jane Fox, The Hive, "Fear and Loathing in Bedminster: On the Ground in the Quiet, Bucolic Town Where Donald Trump Is Toying with Blowing Up the World," 10 Aug. 2017 About 310,000 businesses in the U.S. provide services at weddings, according to IbisWorld, and many of them�from florists to bakers to photographers�are feeling the economic pain. Ben Steverman, Bloomberg.com, "Why You�re Being Invited to Fewer Weddings," 28 July 2017 Florists and gardeners are forever on the lookout for new colors and varieties of plants, however, but making popular ornamental and cut flowers, like roses, vibrant blue has proved quite difficult. Elizabeth Pennisi, Science | AAAS, "Scientists genetically engineer the world�s first blue chrysanthemum," 26 July 2017 An Indianapolis florist is hiding free bouquets around central Indiana this week, according to Fox59. Trading in flowers is the general meaning of Floristry. It includes however, flower care, arranging of flowers, the floral design, and display and more than ever the flower delivery. Wholesale florists sell bulk flowers. Along with supplies to long time professionals. Retail florists typically will have fresh flowers and other services for their customers.